After briefly suspending the iconic ad campaign in the immediate wake of the shooting that left 58 dead, LVCVA officials believe it’s time to get back to business, as overall tourism continues to decline. 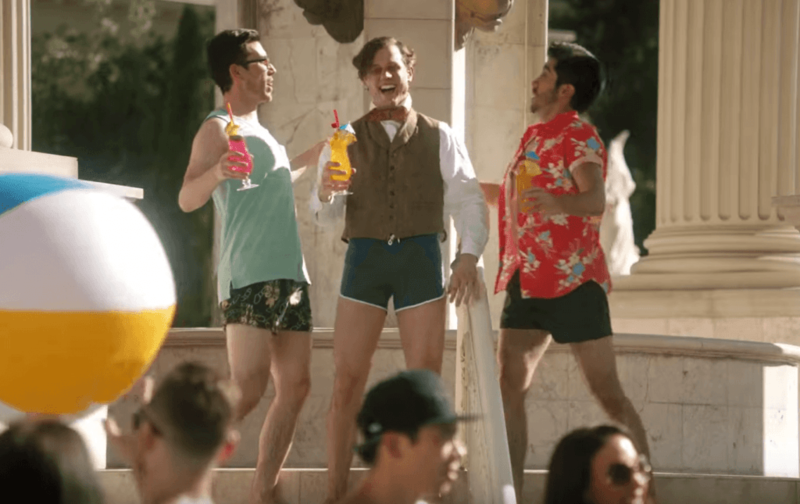 The new TV spot, which debuted on January 1 in Nevada and a few other select markets across the country, features a group of 19th-century researchers exploring time travel, one of whom is transported to present-day Las Vegas. The old school buttoned-down scientist likes what he sees, and quickly starts shedding clothes and enjoying adult beverages, as he’s shown the ropes by two modern-day fun lovers. But in a bit of an homage to past WHHSH spots, upon returning to the past, he tells his colleagues that nothing happened and the time machine didn’t work, but that they should keep on trying. This while dressed in shorts and holding a cocktail, causing the others to raise a few eyebrows in disbelief. At the very end, another scientist sneaks into the machine himself, hoping to be transported as well. 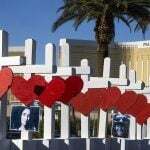 The LVCVA said the new campaign was nearly finished prior to the October massacre. R&R Partners, the Las Vegas advertising company that created the “What Happens Here” campaign in 2003, produced the new spot. In addition to being shown on the Travel Channel, Food Network, USA, TNT, BET, and E!, the commercial is also being aired online. 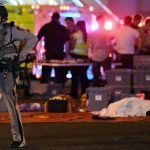 The LVCVA met within hours of Stephen Paddock opening fire on the Route 91 Harvest music festival from his 32nd-floor suite at Mandalay Bay. They quickly suspended all Las Vegas marketing efforts, and R&R was brought in to create the agency’s first response. The initial response was well-received. 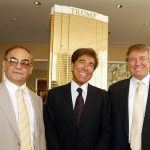 But over the last three months, the LVCVA has presumably labored trying to decide its next step. It tripped on its first effort. 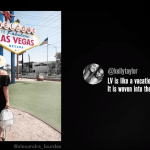 A few low-budget ads popped up under the not-so-creative title of “Visit Las Vegas.” The spots were montages of social media photos with messages of hope and strength, but they failed to resonate. The production quality was also criticized, as the “quality” didn’t seem to be much more than one of those Facebook “Friendversary” or “year in review” automatically generated videos. While some might think the new LVCVA commercial insinuates the city would like to do its own bit of time travel and venture back to a pre-shooting Las Vegas, the production quality is high-end, comes with a bit of humor, and effectively highlights much of what America’s Playground has to offer. The latest tourism data from the LVCVA shows that it might be in the city’s best interest not to prolong the grieving process. November marked Las Vegas’ sixth consecutive month of visitor arrival losses compared to the previous year. Just days before October 1, MGM Resorts launched its new marketing message that said, “We are not in the hotel business. We are in the holy sh*t business.” That was shelved after the shooting, with MGM CEO Jim Murren saying the company’s primary focus would be on the victims and their families, the first responders, and the Las Vegas community. While support has flooded in from around the world, part of the “being there for us now” appeal has to do with business getting back to normal, albeit likely a new one.